This traditional hearty treat can be enjoyed at any time of the day with a variety of different food. Enjoy at breakfast time with some creamy butter and sweet jams, or add a savoury twist by serving with crispy bacon and poached egg. 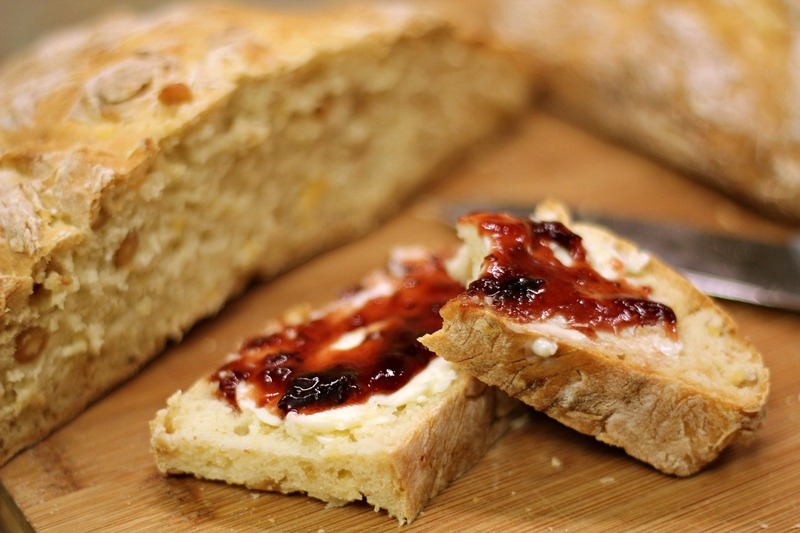 Soda bread also works as the perfect accompaniment for a lunch time snack of Irish stew or a thick soup. Or why not use it to build your own sandwich? It’s best served straight from the oven with lashings of butter! Try our simple, no-fuss recipe below…and it can always be enjoyed with a nice creamy pint of the black stuff! Preheat the oven to 200C / gas mark 6 /fan 180C and sprinkle a baking sheet with flour. Mix the dry ingredients in a large bowl, then rub in the butter. Pour in the buttermilk and mix it in quickly with a table knife, then bring the dough together very lightly with your fingertips (handle it very, very gently). Now shape it into a flat, round loaf measuring 20cm / 8in in diameter. Put the loaf on the baking sheet and score a deep cross in the top (this helps the bread to cook through!). Bake for 30-35 minutes until the bottom of the loaf sounds hollow when tapped. If it isn’t ready after this time, turn it upside down on the baking sheet and bake for a few minutes more. Transfer to a wire rack, cover with a clean tea towel (this keeps the crust nice and soft) and leave to cool. To serve, simply slice across. Eat very fresh and enjoy!